Then there’s George, Simonetta’s eldest child. Coming to terms with the fact that one of your children is disabled isn’t easy, but it is possible, and the key lies in the phrase ‘nobody can fly’: ‘Just as we can’t fly, so George would never be able to walk; this would never stop him enjoying life in other ways. There’s more to life than flying; maybe there’s more to life than walking too. We were going find out what it was, that “something more”.’ The same daily resolve is shown by George himself, who has lived with multiple sclerosis for fifteen years, and whose voice alternates with that of his mother like a countermelody, humorous, yet determined to describe the many obstacles, and perhaps advantages, in the lives of those who move around on a wheelchair. 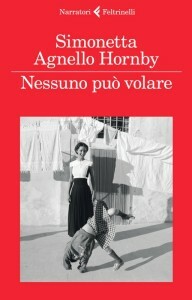 Simonetta Agnello Hornby takes us with her on a journey from Sicily to the London parks, via the artistic beauties of Italy. The journey is also – in fact predominantly – a flight above prejudices and clichés, which gives us not only many moving stories but a new, freer way of looking at things.